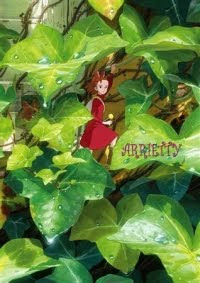 The Borrower Arrietty (Japanese title: Karigurashi no Arrietty)is an upcoming animated movie by Studio Ghibly, the successful Japanese animation studio. The film will be based on the fantasy novel The Borrowers by Mary Norton, but the story will take place in modern-day Tokyo instead of London. 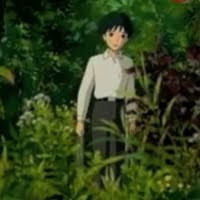 The Borrower Arrietty will be directed by Hiromasa Yonebayashi following a script by Hayao Miyazaki. 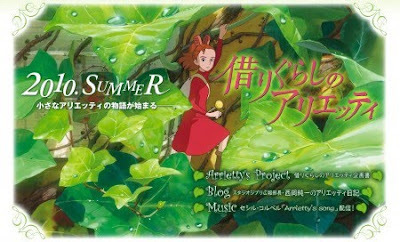 The Japanese release of The Borrower Arrietty has been set for July 17, 2010. There's no official US release date yet. "The Borrowers is about a family of very tiny people (ie. small enough to live under floorboards) and their interactions with the regular human beings who live above. The title comes from the name for these people, as they 'borrow' things from the humans as a way of life. The lead character is Arrietty, a fourteen year old girl." I really look forward to seeing how Ghibli's fresh new take on this classic tale. I bet it's gonna be a great movie!